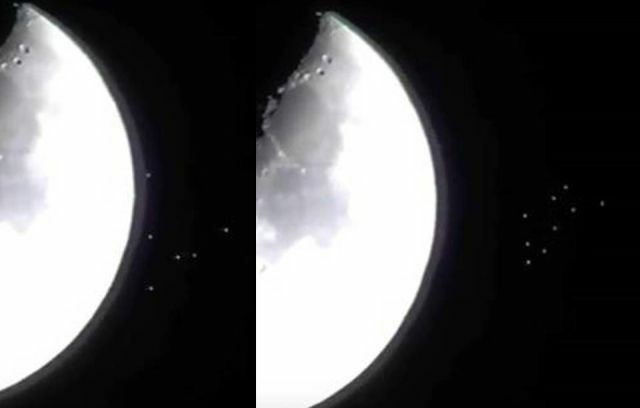 Earth Awakens while using his telescope has recorded a fleet of UFOs leaving the Moon. The footage shows the fleet of UFOs in the original color as well as in different colors and zoomed in. It seems that the movements of the objects are not identical to birds, like flapping wings, suggesting that these objects are indeed unidentified flying objects that leave the moon.